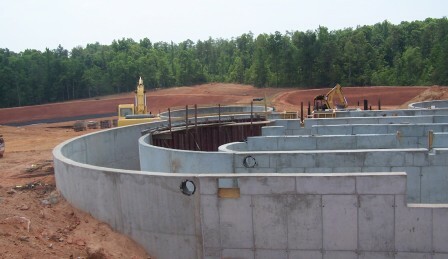 The Community Services Wastewater Treatment Plant is a state-of-the-art privately owned facility located in Spalding County, Georgia. The service area of the highly modernized plant includes all of Sun City Peachtree Community, a portion of Heron Bay Golf & Country Club, and a large area of the northeastern section of Spalding County. The plant is approved for a maximum capacity of 1,350,000 GPD (gallons per day) which equates to approximately 7,500 homes. The plant was designed to collect wastewater from Sun City Peachtree, the water then flows to a pumping station that transfers untreated wastewater to the plant. The plant treats raw sewage to Georgia DNR/EPD (EPD) “Urban Reuse” standards, the highest standard recognized by the Georgia Environmental Protection Department. The cleaned water is then used for irrigation of the golf course and the community open spaces, which allows us to keep the communities looking beautiful in an economically friendly way.